That's all from me folks. Thanks for your company and congratulations to Inverness on a big win over Aberdeen. We'll be back with more live action tomorrow, with an Edinburgh derby replay in the Scottish Cup, Rangers going to Kilmarnock and the bottom two in a key Premiership match at Tannadice. Make sure you join us for that feast of football. "Some big decisions went against us in both boxes. It's clearly not a penalty. Their player has conned the referee and I thought we had a penalty when Graeme Shinnie had his leg taken away from him. "Inverness played well. When you see them as determined as that you are surprised not to see them higher up the table. You have to credit the opposition but we never played to our level." Inverness gaffer John Hughes hurls some colourful abuse in the direction of BBC Sportsound host Richard Gordon, who may be fond of Aberdeen. Still no sign of Aberdeen boss Derek McInnes. It will be interesting to get his take on the penalty decision but he can't be happy with his side. They were second best in most areas of the park after taking an early lead. Dave, Bishopton: Collum is now ruining games now. Three penalty decisions and he managed to get all three wrong. Fantastic consistently from him there...the type of consistency that gets you to the Euro's. Aberdeen were very poor though to be fair. Andy, Airdrie fan in Cumbernauld: Two stonewall penalties not given to Aberdeen and one given against them that certainly wasn't. Willie Collum, our alleged best ref, has effectively ended the title race. 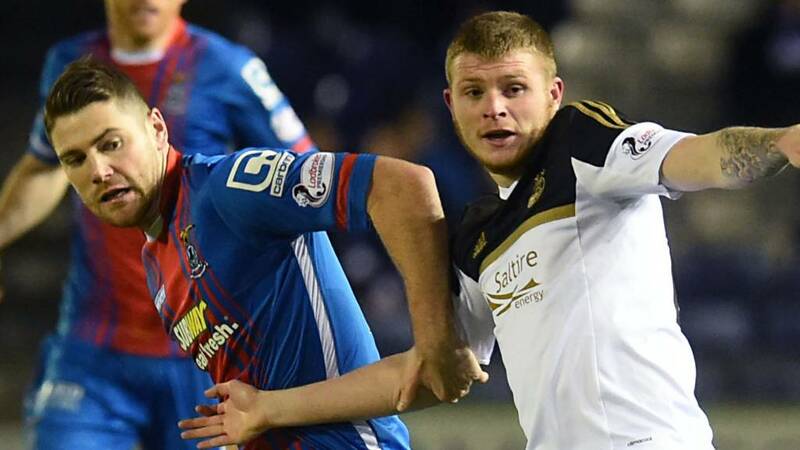 "That's the best performance of the season from Inverness. It's better for them when teams come at them and they can play it quicker on the counter-attack. Too often they are slow and deliberate in possession but they had a real good tempo about them tonight." "We passed it well, we sucked them in and we might have scored a few more if we'd been more clinical. We played without a centre forward and got our full-backs up and down. "We had a bit of luck with the penalty, no doubt. Trust me, there's been plenty going against us this season." "The whole game turns on the penalty decision. Ross Draper was never in control of the ball. I just can't understand the decision. It's a really bad decision. It's two big players going for the ball with their feet up, nothing more." Is that the Aberdeen title challenge up in smoke? It was a very timid display from the visitors who could not match the intensity and physicality of the hosts. Referee Willie Collum will once again come in for some serious flak but there is no question that Caley Thistle are deserved winners. Another late change for the hosts as Ryan Williams takes over from Miles Storey, who has put in a real shift tonight. Operation run down the clock begins for the hosts as Lewis Horner trots off to be replaced by Liam Hughes. Margaret, Aberdeenshire: Well done so far ICT. Keep going. Love you. Margaret. Celtic fan. Jack, Rutherglen: Really shocked with aberdeens route one long ball tactics. Kenny: Why is collum still allowed to referee Aberdeen games? Absolute disgrace! And he's Scotland's best?